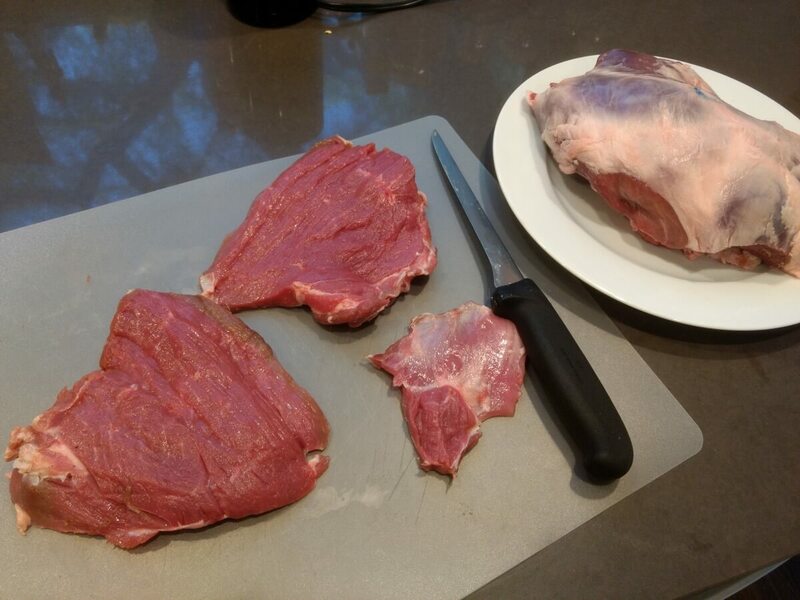 Slice the leg of lamb into steaks. Follow the natural division of the lamb's leg to remove individual muscles, then butterfly into steaks. If they are uneven, you can place them in a ziploc bag and pound out. Season the steaks with salt and pepper, then dredge in the egg, then in flour. Heat a large cast iron skillet with vegetable oil. Once it begins to shimmer, cook the steaks in batches, being sure not to crowd the pan. Cook until golden brown, about 4 minutes per side. Place cooked steaks on a wire rack set in a cookie sheet in the oven to stay warm. Add a bit of oil to the pan if it looks dry. Deglaze with white wine, stirring to scrape up browned bits. Reduce the wine by half. Whisk in 1 Tbsp of the dredging flour, then add the stock. Continue whisking until it comes to a boil. Add the thyme and continue to whisk until it's thick enough to coat a spoon. Season with salt and pepper to taste. 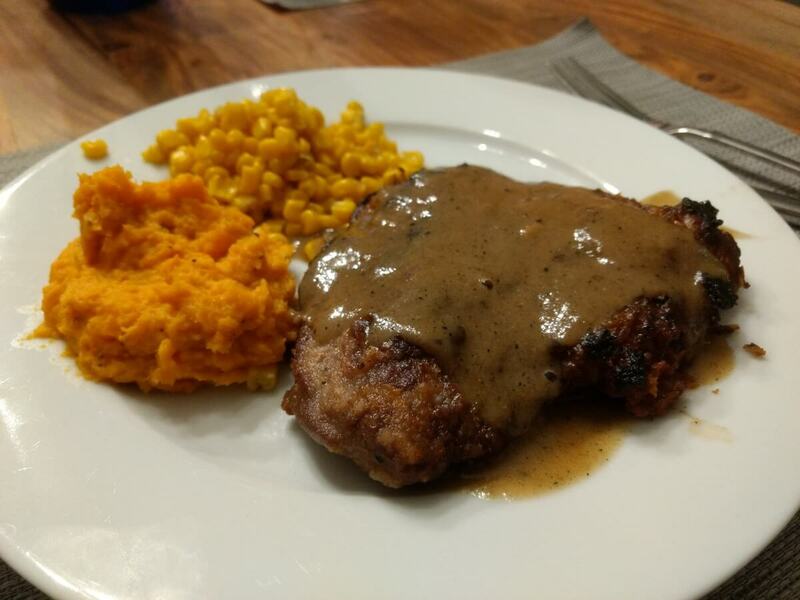 Serve the chicken fried lamb steaks with the gravy.